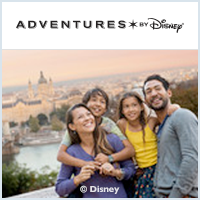 Adventures by Disney (ABD) presents an extraordinary way to experience Disney Cruise Line! Guests can enhance their sailing with the extra magic of an Adventures by Disney vacation! Combining ABD's personal service and expertise in guided travel across the world with the enchantment of a Disney cruise, you will have a selection of unique onboard activities and premium shore experiences designed to immerse you and your family in the history and sights of your destination. New Short Escape Adventures for 2019! Grab your oars and scull down the Charles River on a privately guided rowing experience. Walk the hallowed grounds of America’s oldest university on a tour led by a current student. See London's iconic sites while racing across the Thames on a private speed boat. The unusual towers of La Sagrada Família basilica are visible from every vantage point in the city! Take a privately guided tour and discover the genius of architect Antoni Gaudí. Join in a private tour of Montserrat—a Benedictine monk retreat embedded in the mountainside amongst extraordinary rock formations. Enjoy your dinner at the village of Pueblo Español, where you'll be entertained by Flamenco dancers. Ancient mariners knew the waters of Oresund were full of mermaids. Growing up with this lore inspired Hans Christian Andersen to pen "The Little Mermaid" in 1836. The Little Mermaid statue was unveiled in 1909, tying lore and literature together and forever linking Copenhagen to these legendary creatures. Enjoy a private tour of Tivoli Gardens. With origins dating back to the mid-19th century, Tivoli Gardens is the second oldest amusement park in the world. Walk the halls of Danish Royals and the setting for Shakespeare's Hamlet at Kronborg Castle. Known for both its fortified strength and sheer beauty, the castle occupies a strategic position on the Sound (Øresund separating Denmark and Sweden). Take a tour of this impressive church—a famed example of Renaissance architecture. You can now enhance your 2020 River Cruise with these new Short Escapes from Adventures by Disney! Click on each one for dates and itineraries. Experience an evening of fine French cuisine with a magnificent 360° view of Paris from the first level of the Eiffel Tower. View the museum's renowned collection on a privately-guided tour that includes Leonardo Da Vinci's masterpiece, the Mona Lisa. See sites like Matthias Church, Buda Castle, and the Fisherman's Bastion as you tour the western part of the Hungarian capital. Cruise through the eastern part of the capital city and visit sites that include Vajdahunyad Castle and St. Stephen's Basilica. Enhance your next Disney Cruise Line cruise with Adventures by Disney. You'll discover the best of every port with special guided experiences from Adventures by Disney. 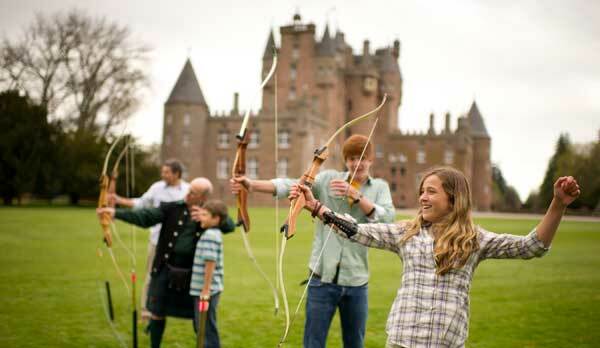 Hosted by Adventure Guides, our vacation packages offer VIP experiences and opportunities that only Disney can deliver to immerse your family in the culture and history of the places you visit. Best of all your entire experience will be completely carefree. Choose from 6 captivating Adventures by Disney cruise itineraries to the Mediterranean or Northern Europe—and experience the best each destination has to offer.